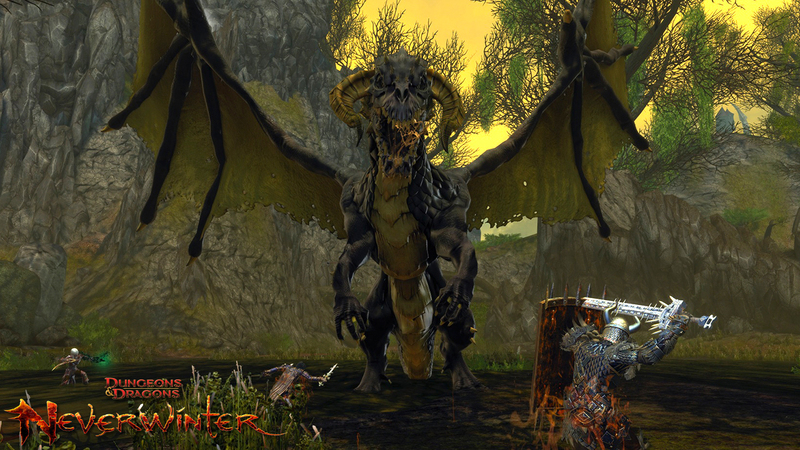 Home Features Editorials Neverwinter’s Zen Store Changes Raise Ire, But Does It Matter? Neverwinter’s Zen Store Changes Raise Ire, But Does It Matter? For a free-to-play game, the first rule of changing your cash shop is: “Expect people to be upset.” No matter what you do, making any change to how people spend their real-world money is going to raise suspicion. It’s likely to be even worse if you take away options and, paradoxically, if you insist the change is for the better. Trust is often in short supply when it comes to F2P gamers. This week, Perfect World Entertainment has found itself in a little hot water with the changes it’s recently made to the cash shop and – what else? – lockboxes in Neverwinter. The details were revealed in a blog post last October and went into effect Thursday. In short, cosmetic fashion items, along with dyes, lesser health stones, and scrolls of mass life, were removed from the Zen Market (cash shop); to get them, you need currency that can only be found in lockboxes and used in a secondary store, the Trade Bar Market. In short, you can no longer spend X amount of real money to acquire cosmetics. You have to buy a number of lockbox keys, spending an unknown amount of money (or acquiring an unknown number of keys in game), to get cosmetics. In his blog post, Game Designer Douglas Miller says that the goal was to “simplify” things and that you’ll be paying “almost the same in lockbox keys as you would have buying that fashion directly from the Zen Market.” And hey, you’ll get lockbox goodies, to boot. It should come as no surprise that these changes aren’t going over well. There’s enough whining going on on the forums that, even if the blog post is totally truthful and this actually is better for players overall, it’s not going to be seen that way. Maybe an item you used to be able to get for X real money can be had for X/2 if you’re lucky with your lockbox drops, and maybe the average really is cheaper, more like 80% or 90% of X. Some people, inevitably, will need to spend 1.5X or 2X or more to get what they want, and those are the ones who will raise the biggest fuss. I’m not intimately familiar with Neverwinter’s cash shop, but even if it’s true that the average price works out to be slightly lower, this is probably still a mistake from a perception point of view. This will – or, for a lot of people, already has – further cement(ed) Neverwinter as a “lockbox game,” where the best loot can only be had for a price, and that price isn’t even set. It’s going to be seen as just another attempt to steer players toward “gacha”-style transactions, with no reliable way to know how much they’ll be getting. Even with the occasional lucky drop, it’s a monetization method meant to appeal to whales and not the average consumer, which is what most of a game’s population consists of. Of course, that’s part of the problem – that the average consumer doesn’t spend like the whales do, and thus his or her input can, in many ways, be disregarded. MMORPGs might try to attract a large audience, as they should, but at some point, it’s going to be deemed OK to lose a significant portion of that audience if more can be gained from the whales. If user numbers drop by 20% but spending on lockboxes incrases by 30%… well, that’s the sort of thing that earns executive bonuses, not what brings about layoffs, no matter how much the community gets up in arms about it. PWE’s head honchos are smart enough to know that they’re going to lose some players with this move, and they’ve also computed that the increased profits from lockbox-buyers are worth it. No angry forum thread, petition, or mass exodus will change their minds. So what is there for the average player to do? Honestly, not much. People who are happy to blow $100/day on lockbox keys don’t care what the masses think, as long as they can get their shiny stuff. All the “vote with your wallet” talk doesn’t amount to much when everyone who might do that represents just a small percentage of a game’s income. For pretty much any continuing product, the means available to increase profitability comes down to two possibilities: increase the number of users or get more money out of existing ones. I was part of a discussion exactly along those lines with a CCG I worked on, and we opted for the latter. Like an aging CCG, an aging MMO will have a difficult, if not impossible, time attracting new players, so that leaves only one option. And it’s one that a lot of people won’t like.